Here in our Mend Library, we have some of the most common injuries by body region. Read more about the pain you may be suffering and how Mend can help. Click on the drop-down tabs for more information. A sprained ankle occurs when your ankle ligaments are overstretched. Ankle sprains vary in their severity, from mild "twisted ankle" or "rolled ankle" sprain through to severe complete ligament ruptures, avulsion fractures or broken bones. A history of your ankle rolling is the key ingredient to suspecting a sprained ankle. At the time of the injury, you may hear a popping or cracking sound and will notice swelling, bruising and ankle pain. Lateral or medial ligament sprains are usually acutely tender over the injured ligament. Depending on the severity of your ankle sprain, you may have trouble walking or standing on your foot. In more severe cases, there may be sharp pain deep in the ankle joint associated with a talar dome fracture or pain between your lower shin bones, which may be a syndesmosis or high ankle sprain. Arm pain and arm injuries are very common. Arm pain can occur due to a sudden trauma or repetitive overuse. They are often related to sports or work injuries, and everyday arm use. Arm pain can be a local musculoskeletal or could even be referred from nerves of joints in your neck (cervical radiculopathy). Cervical radiculopathy will not respond to treatment where you feel the arm pain. However, it will respond positively to treatment at the source of the injury eg: your neck joints. A skilled physiotherapist can diagnose both spinal-origin and local origin (muscle and joint) injuries. Shoulder pain is most commonly caused by your rotator cuff or frozen shoulder. Elbow pain is most commonly caused by tennis elbow or golfers elbow. Wrist & hand pain can be related to carpal tunnel, wrist arthritis or even a thumb tendon condition known as de Quervain's tenosynovitis. Arm pain and injury normally respond very well to medical or physiotherapy when early assessment and treatment is sought. Lower Back Pain is the most common form of back pain. At least 80% of people will experience lower back pain at some stage of their life. Most back pain is caused by musculoskeletal conditions and can be treated successfully. Lower back pain can be avoided with a little back education and lower back exercises. 90-95% of lower back pain can be successfully managed without the need for surgery. Most improve within two to six weeks. They can be managed with pain relief and physiotherapy techniques such as manual therapy and back exercises. The causes are usually due to either a sudden traumatic or sustained overstress injuries. Traumatic Injury: This is often something as simple as bending awkwardly to lift something heavy, or jarring the lower back. Sustained Overstress Injury (poor posture): This is usually more common and easier to prevent. Normally positional stress or postural fatigue creates an accumulated microtrauma that overloads your lower back structures over an extended period of time to cause injury and back pain. Early diagnosis and specific individual treatment is the easiest way to recover quickly from lower back pain and to prevent a recurrence. There are many forms of back pain including, Muscle, Bone, Disc, Nerve and Pelvis related injuries, Pregnancy and Systemic Diseases. Muscle Strains through muscle fatigue, excessive and poor lifting posture techniques. Inefficient back muscles can lead to poor joint stabilisation and subsequent injury. Ligament Sprains: Ligaments are the strong fibrous bands that limit the amount of movement available at each spinal level. Stretching ligaments too far or too quickly will tear them with subsequent bleeding into the surrounding tissues, causing swelling and pain. The main cause of ligament sprains can be sports injuries and motor vehicle accidents. Physiotherapy can help the healing process and relieve the pain. Bulging Disc Injury: This is a common spine injury sustained to your spine's intervertebral disc. 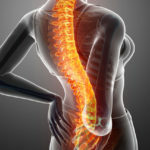 Spinal discs are the shock-absorbing rings of fibrocartilage and glycoprotein that separate your bony vertebral bodies while allowing movement at each spinal level, and enough room for the major spinal nerves to exit from the spinal canal and travel to your limbs. The annulus is the outer section of the spinal disc, consisting of several layers of multi-directional fibrocartilaginous fibres all densely packed to create a wall around the glycoprotein filled jelly-like disc nucleus. A disc bulge (commonly referred to as a slipped disc), can potentially press against or irritate the nerve where it exits from the spine. This nerve pinch can cause back pain, spasms, cramping, numbness, pins and needles, or pain in your legs. Bone Injuries: You can fracture your spine if the force involved is highly traumatic or you have a low bone density (eg osteoporosis). Poor Posture: Excessive sitting, standing and lifting can place unnecessary stress on your spine. Muscles fatigue, ligaments overstretch, discs stretch can all place the spinal joints and nerves under pressure. Mend Physio can assist you with a prompt diagnosis, and provide you with a long-term self-management, and back pain prevention strategies specific to your back pain. The pain of golfer's elbow doesn't have to keep you off the course or away from your favourite activities. Rest and appropriate treatment can get you back into the swing of things. Pain and tenderness on the inner side of your elbow. Sometimes the pain extends along the inner side of your forearm. Pain typically worsens with certain movements. Stiffness - Your elbow may feel stiff, and it may hurt to make a fist. Weakness - You may have weakness in your hands and wrists. Numbness or tingling - These sensations might radiate into one or more fingers — usually the ring and little fingers. The pain of golfer's elbow can come on suddenly or gradually. Golfer's elbow, also known as medial epicondylitis, is caused by damage to the muscles and tendons that control your wrist and fingers. The damage is typically related to excess or repeated stress especially forceful wrist and finger motions. Improper lifting, throwing or hitting, as well as too little warm-up or poor conditioning, also can contribute to golfer's elbow. Golf - Gripping or swinging clubs incorrectly or too forcefully can take a toll on your muscles and tendons. Racket sports - Excessive topspin can hurt your elbow. Using a racket that's too small or heavy also can lead to injury. Throwing sports - Improper pitching technique in baseball or softball can be another culprit. Football, archery and javelin throwing also can cause golfer's elbow. Weight training - Lifting weights using the improper technique, such as curling the wrists during a biceps exercise, can overload the elbow muscles and tendons. In addition, any activity that requires repeatedly bending and straightening your elbow can cause golfer's elbow. This includes painting, raking, hammering, chopping wood, using a computer, doing assembly-line work and cooking. The activity generally needs to be done for more than an hour a day on many days to cause a problem. Strengthen your forearm muscles - Use light weights or squeeze a tennis ball. Even simple exercises can help your muscles absorb the energy of sudden physical stress. Stretch before your activity - Walk or jog for a few minutes to warm up your muscles. Then do gentle stretches before you begin your game. Use the right equipment - If you're using older golfing irons, consider upgrading to lighter graphite clubs. If you play tennis, a racket with a small grip or a heavy head may increase the risk of elbow problems. Lift properly - When lifting anything, including free weights keep your wrist rigid and stable to reduce the force to your elbow. Acute Tennis Elbow is an injury to the muscles that extend the wrist and fingers. The site of injury is typically the lateral epicondyle, a bony bump on the outside of the elbow where these muscles attach. Tennis Elbow symptoms that have lasted more than 6 weeks are considered to be sub-acute and beyond three months, as chronic tennis elbow. Tennis Elbow sufferers will experience pain when performing gripping tasks or resisted wrist/finger extension. They will also experience pain when the muscles are stretched. There will be tenderness directly over the bony epicondyle, and there may be trigger points in the wrist muscles. Often sufferers will experience neck tenderness and stiffness and there could be signs of nerve irritation. Most elbow movements will be pain-free, despite that being the area of pain. Why do you get Tennis Elbow? Where did Tennis Elbow get its name? It is known that 40% of tennis players will experience tennis elbow - hence it's name. 15% of manual workers also experience tennis elbow. This condition can be experienced at any age, however, generally, they are between the ages of 35 - 50. Physiotherapy is very effective in the short and long-term management of tennis elbow. The normalisation of your upper limb neurodynamics. The normalisation of cervical joint function. There are many ways to achieve these and, following a thorough assessment of your elbow, arm and neck. Mend Physio can diagnose and discuss the best strategy for you to use based on your symptoms and your lifestyle. Because foot pain can have so many causes it is very important to have foot pain assessed by a health professional with an expertise in the management of foot pain. Only then can you be confident that your foot pain treatment is managing the "right" cause of your foot pain. Common sources of foot pain include Plantar Fasciitis, Bunion, Heel Pain, Heel Spur and Ankle Injuries. Achilles Tendonitis is an inflammation of the Achilles tendon or its covering. It is an overuse injury that is common especially to joggers and jumpers, due to the repetitive action and so may occur in other activities that requires the same repetitive action. When your Achilles tendon snaps it is known as Achilles tendon rupture. Often an Achilles rupture can occur spontaneously without any prodromal symptoms. Unfortunately the first "pop" or "snap" that you experience is your Achilles tendon rupture. Compression type plantar fascia injuries have a traumatic history. Landing on a sharp object that bruises your plantar fascia is your most likely trauma. The location of plantar fasciitis pain will be further under your arch than under your heel, which is more likely to be a fat pad contusion if a single trauma caused your pain. The compression type of plantar fasciitis can be confused with a fat pad contusion that is often described as a "stone bruise". Hip pain is very common in all age groups. The hip joint and it’s integration with your pelvis, SIJ and lumbar spine (lower back) make it a complex region to correctly analyse and assess any dysfunction. The older population are more vulnerable to age-related hip issues such as hip arthritis, trochanteric bursitis and GTPS (Greater Trochanteric Pain Syndrome). Functional limitations could include simply walking, sit to stand, single leg standing, stairs or even sleeping in severe cases. Hip pain can also be associated with reduced balance so a thorough balance assessment may be required to predict a falls risk. Your Physio may give you fall prevention exercises to address any individual deficits. They may even advise you to use a walking assistance device such as a walking stick, crutches or a walking frame. Younger sports-related hip issues may come on after prolonged running, jumping or landing activities. Specific sporting hip conditions can be discussed and thoroughly by Mend Physio. Groin pain is one of the most common symptoms associated with hip joint pathologies such as hip osteoarthritis and hip labral injury. There are also many other causes of groin pain that need to be excluded by a health professional. Your assessment should include a functional assessment of your knee, foot and ankle joints, plus your thigh and calf muscles. They all contribute to your hip function. Hip pain is often related to your whole lower limb biomechanics and function. Hip Joint Pain, Lateral Hip Pain, Adductor-related Groin Pain, Pubic-related Groin Pain, Inguinal-related Groin Pain, Iliopsoas-related Groin Pain and other muscle-related Pain. There are also Systemic diseases such as Rheumatoid Arthritis, Fibromyalgia and Osteoporosis. Referred Sources such as Sacroiliac Joint Pain (SLJ), Sciatica, Lower Back Pain and a Pinched Nerve. Hip joint conditions are often treated with short-term cures, such as cortisone injections or painkillers. This is inadequate, especially for recurring hip pain. A thorough analysis of why you are having hip pain is important to solve the problem, to prevent recurrence and improve your performance, especially on the sports field. Hip pain education should also include teaching you about activity modification, individualised exercises, weight-loss advice (if required), and methods to unload any arthritic joints. We recommend a thorough hip assessment so your hip treatment can progress quickly and get you pain-free sooner. Trochanteric bursitis is the most common bursitis of the hip. It is also a common cause of Greater Trochanteric Pain Syndrome. The superficial trochanteric bursa is located over the greater trochanter. This is the most commonly inflamed bursa. A deep trochanteric bursa lies deeper and can become inflamed in more severe cases. The trochanteric bursa may be inflamed by a group of muscles or tendons rubbing over the bursa and causing friction against the thigh bone. This injury can occur traumatically from a fall or a sport-related impact contusion. It can also be a case of gradual onset via a repetitive trauma to the bursa from such activities as running (with poor muscles control or technique), walking into fatigue, or cycling, especially when the bicycle seat is too high. 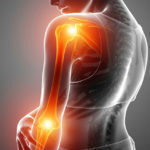 A traumatic injury such as a car accident or fall can also cause bursitis. Acute compression of your bursa causes an inflammatory healing reaction that results in swelling within the bursa, or bursitis. Once the bursa is inflamed, normal movements and activities can become painful from either the pain-sensitive chemical reaction within the bursa or the swollen bursa can provide additional frictional forces in the subsequent movements. Mend Physio can provide you with an assessment based on your medical history and a physical examination of your hip, pelvis and back. For specific advice regarding your hip pain, ask Mend Physio for advice on hip pain and related injuries. Knee pain can arise from soft tissue injuries such as ligament sprains and muscle strains. It could also be a bone condition such as knee arthritis, Osgood Schlatters. It is always best to consult your physiotherapist or doctor for the most accurate diagnosis and best treatment for your knee pain. There are many causes of neck pain or a stiff neck. The inability to move your head, sharp neck pain, headache or muscular aches can be very painful. However, often it is simple to fix to rectify in the most cases. Neck Joint Injuries, Muscle-related Injuries, Bone-related Injuries, Disc-related Injuries, Nerve-related / Referred Pain, Vertigo-related, Headaches/Migraine related and Systemic Diseases. Often the neck joints (cervical spine) become stiff or locked and cause protective muscle spasms in some neck and shoulder muscles. The longer this is left, the harder it is to reverse. Your neck posture changes, which puts a strain on adjacent joints and muscles, and the condition deteriorates, leaving you with a sore neck. Usually, a combination of the neck joint, muscle stretching, massage, strength exercise and postural techniques are required to reverse the condition before poor habits become established. The human body is very clever and will adjust itself so that other joints or muscles will work harder than they should to try and heal the pain. While this can result in a short-term fix, in the long term it can cause long-term neck pain. The result can be chronic neck pain, neck stiffness, headaches, wry neck or even a tension-type migraine. Research has shown that a combination of neck joint and muscle treatment performed by your physiotherapist and some specific strengthening exercises are an effective way to eliminate your neck pain, stiffness and headaches. Mend Physio will be able to diagnosis and apply a treatment of mechanical neck pain. Contact Mend Physio for advice on your neck pain. This form of arthritis is caused by everyday wear and tear damage to your joints. Joint cartilage becomes thin, extra bony spurs grow in response to joint stress, and joint motion lessens. In advanced stages, osteoarthritis is painful and functionally is limiting and depressing. There is no cure for osteoarthritis. However, there are many ways to manage osteoarthritis and slow the degeneration process. Physiotherapy is a very important part of making your life living with osteoarthritis less painful and comfier. 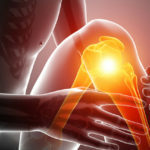 Research has shown Physiotherapy is especially successful with knee osteoarthritis. An experienced physiotherapist will have a very good idea of whether you have osteoarthritis when they examine you. X-rays are the most successful way to confirm osteoarthritis. As you age, most people develop some degree of osteoarthritis. Wear and tear of our joints may occur due to ageing, injury, prolonged micro-trauma, overuse of joints, or excess weight. Permanent bony changes occur and will exist even when there are no painful symptoms. Some people may be symptom-free while others may suffer continuous disabling pain. The most common is mild or intermittent pain provoked by episodes of increased use or minor trauma. The most commonly affected joints are the weight-bearing joints: hip, knee, ankle, feet and spine. However, osteoarthritis is also very common in hands and shoulders. Severe cases may require surgical treatment but most will respond very well to physiotherapy and medication prescribed by your doctor. Mend Physio can help you diagnose and manage your osteoarthritis. Contact Mend Physio with any questions you may have. Osteoporosis is a condition where your bones weaken and become thin, fragile and brittle, leading to a higher risk of fractures (breaks or cracks) than in normal bones. It develops slowly over several years and is often diagnosed when someone has a minor fall or sudden impact causing a bone fracture. There is no real cause for osteoporosis. Your bones are constantly being renewed in a process where old bone is broken down and new bone is produced to replace the old. This process occurs throughout our life and is usually in balance. However, due to a number of reasons, it can get out of balance and thinning of the bones can occur. One of the most important factors is thought to be a lack of bone stress stimulating exercise. Exercise, especially weight-bearing and resistance exercises, help you to stimulate the production of new bone when you are younger and limits the loss of bone when we are older. Vitamin D intake via supplements or exposure to low levels of sunlight. Vitamin D is used to absorb calcium in the bone and to regulate calcium in the blood. Mend Physio can help with your osteoporosis by giving you exercises and physio to help with the pain and strengthen your body. Motherhood is a wonderful time of your life but it does take its toll on our bodies during pregnancy, labour now that we’re caring for every need of the new addition to the family. If this isn’t your first baby then there’s even more demand on you! Everyone gets told after childbirth to ‘do your pelvic floor exercises.’ Let's be honest, most of us do initially but once our bodies are virtually back to normal we tend to give up because life is so busy and our minds are always running wild trying to juggle a million different things. How your body changes while Pregnant? Abdominal muscles stretch massively during pregnancy and do not snap back into place immediately (although for some lucky women, they do appear to). Two-thirds of women will experience a split in their rectus abdominis (the external abdominal muscle – six-pack muscle), for some this will return to its original position with no additional effort required. For others, it requires careful progressions through a well-designed exercise programme to bring the sides of the muscles back together. Some women’s split will not completely zip up, this can be due to having a wide split in the first place, exercising too early at a relatively high intensity or simply due to lower elasticity in the muscles. The pelvic floor will go through big changes and can take time to recover. Ideally, women need to do pelvic floor exercises during pregnancy, and as soon as able after birth to help it get back into place. Pain in the pelvis during pregnancy can still remain after giving birth as the hormone relaxin continues to circulate around the body for several months after birth. In addition to all of this, there can be added complications if the woman has had a c-section or stitches! Don’t worry many of these problems can be resolved within weeks of giving birth! However, full re-modelling of the tissues can take up to 18 months. Pilates can help with all of these problems and is also a relaxing way to get back into exercise postnatally. My name’s Kate and I gave birth to my first child in April 2017. I’m a Physiotherapist and a qualified Pilates instructor, having completed a specific course on Ante and Post Natal Pilates. My son was a big baby weighing in at 8 pounds 11 ounces and we’ve had a busy year but being a Mummy is the best job in the world. I did, however, ensure that I made time for myself to get my pelvic floor and core back into shape, I was lucky enough to know exactly how to get these muscles working again and the importance of this to my body. I want to help you achieve your goals, feel proud of your body and get the strength back that you deserve. The ‘Mummy Tummy Programme’ is a brand new programme that we’re offering at Mend Physio. It comprises of 2, one to one sessions where we go through a thorough history and introduce you to Pilates and some of the basic exercises. The last 4 sessions are group sessions with a maximum of 5 clients in the group whereby we work through a Pilates class at each session, directed at Post Natal needs. Take advantage of this brand new programme and the introductory rate that we are offering. There are usually two options with shoulder pain: non-operative or a surgical approach. Depending on your condition Mend Physio will advise which option is best for you. Non-operative care is also referred to as conservative rehabilitation. Sciatic pain is felt along the sciatic nerve, which runs from your lower back, down through the buttock, hamstrings and into the lower leg. The sciatic nerve is the longest nerve in the body. Sciatica is often misdiagnosed, which can result in slow or non-responsive treatment. Leg pain can have various sources. It can be a local leg injury or it may even be referred from your lower back. The main nerve that travels from your lower back to your leg is your sciatic nerve. Irritation or pinching of your sciatic nerve can cause severe leg pain known as sciatica. Joint inflammation, compression of the nerve from bony arthritic growths or a locked facet joint in the lower spine can commonly cause sciatica. Another common cause is pressure on the sciatic nerve from a herniated disc. Sciatic pain usually begins in the lower back and spreads through the buttock, leg, calf and, occasionally, the foot. The pain can vary between dull, aching or burning sensations and sharp, shooting pains. Sciatica can also cause tingling, numbness or muscle weakness in the affected leg. It is very important to seek medical attention in these situations as long-term nerve compression can permanently damage the nerve and its function. In these cases, your symptoms may become permanent. Sciatica diagnosis is based on your symptom description, the behaviour of your pain and a thorough physical examination. This could be reasonably simple, however, the primary cause of your sciatica may require further investigations to eliminate or confirm its origin. It is also important to determine how significant your sciatic nerve has been compressed. Mend Physio will examine you, paying special attention to your spine and legs, and will ask you if you have low back pain that spreads to the leg and calf. They will test you for muscle weakness, sensation deficits and altered reflexes in your leg or foot. If you've injured yourself more than likely you will feel immediate pain, tenderness, swelling, bruising, and restricted movement or stiffness in the affected area. Sometimes, these symptoms may only be noticeable several hours after exercising or playing sports. If you feel pain, stop exercising. Continuing to exercise while injured may cause further damage and slow your recovery. Often you will be able to treat minor injuries at home with ice packs, resting and over the counter painkillers. Are you ready for Mend to help?